** ** After serving as a Navy medic, Dawson Callahan is back in the States and ready to start over. Leaving his native Texas, he heads for the wide open spaces of Wyoming, where he finds work as a wrangler. True, he’ll mainly be wrangling chickens—and wrangling Sarah Carter’s granny, who’s still spry, but in need of a little caregiving. 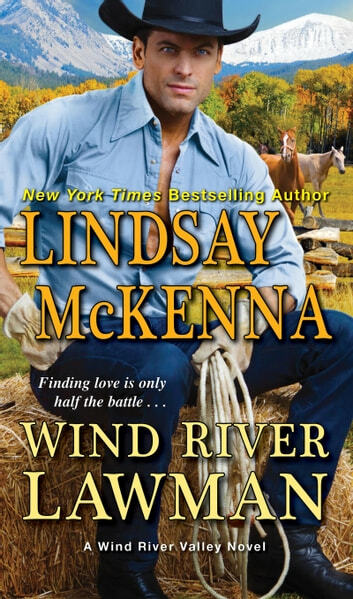 But ranch work is ranch work, and it’s hard to turn down a job offer from the beautiful Sheriff Carter—especially when she deputizes him as one of her lawmen. Excellent read. It was nice to read a story with a strong female character. Sarah Carter is the sheriff of Lincoln County. Usually it's a pretty easy job but a sudden influx of drugs into the county have really amped things up. To add to her worries she has a spunky grandmother who needs looking after and help on her chicken farm. She needs to find someone that can help with both. That's where Dawson Callahan comes in. Dawson is a former Navy medic and looking for a job after coming to Wyoming. He's always wanted to live there and with this job coming up things are working out. Getting to see and spend time with Sarah on a regular basis is just a bonus. This book is very well written with strong characters and a nice pace. Definitely one I would recommend. This was a great story with intrigue, excitement, romance and a beautiful HEA! I fell in love with Sarah and Dawson and their relationship, although they were both broken people, they were still able to complete each other (corney but true). LOL!! Highly recommended!! Really enjoyed this change of storey. It was lively and extremely well written. 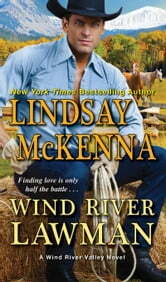 McKenna brings together two ex-military characters who find healing in each other. Sarah Carter is a Wyoming Sheriff looking for a wrangler and assistant for her Grandma Gertie. Dawson Callahan is a native Texan with a dream to explore Wyoming. Modern western story of overcoming drug infiltration and conquering danger. Nicely written with strong plot and unique gutsy Gertie wo lend a feisty flavor. "A copy of this book was provided by Kensington Books via Netgalley with no requirements for a review. Comments here are my honest opinion." HEROES HERALDED!